Let the world know that even though you aren’t perfect, you’re pretty darn close. 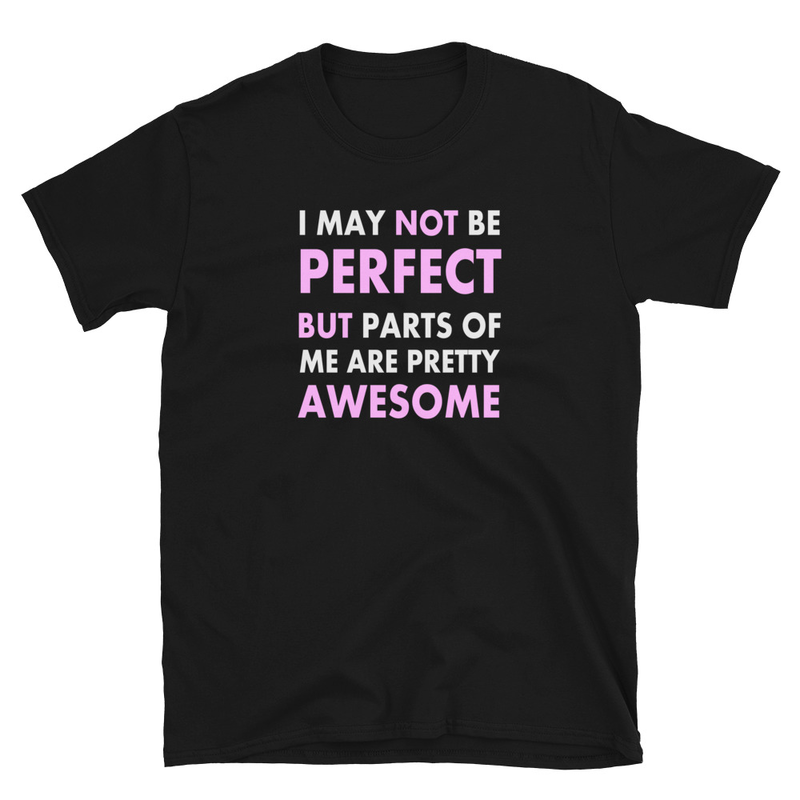 Your friends will love this cute shirt that reads “I may not be perfect, but parts of me are PRETTY AWESOME”. It is available in several dark colors, in all the usual sizes. Be the first to review “I may not be perfect but parts of me are AWESOME” Click here to cancel reply.